Should NFL teams be forced to play starters after clinching playoff positioning? As the 2009 NFL regular season has come to a close, and Wild Card playoff weekend approaches, the normal buzz of playoff anticipation and the firing of coaches is in the air. The end of the regular season has also brought with it talk of an important problem that needs to be fixed in the NFL. This season, talks of how the NFL should handle the problems caused by teams resting their starters in the last few weeks have come to the forefront. Every year towards the end of the season we hear arguments in the media about whether or not teams should rest their players once they have clinched certain postseason positions. 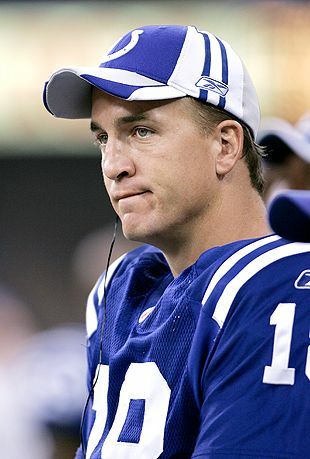 When the Indianapolis Colts were 14-0 leading up to their game with the New York Jets, there was debate over how the team should play the upcoming game: whether it should rest its starters in preparation for the playoffs and to avoid injuries, or if it should play the game to win and continue the quest for a perfect 16-0 season. This game, however, had much more significance than the respect, or lackthereof, from the Colts for the history of the game. The Colts decided to play the starters, including QB Peyton Manning for the first half of the game, with coach Jim Caldwell pulling the starters after they had taken a 15-10 lead. Caldwell inserted rookie QB Curtis Painter, who had never played a single down in the NFL, and essentially giftwrapped the game as an early Christmas present for the New York Jets, in turn saving the Jets’ season. The Jets, who had recently lost to a dismal Michael Turner-less Falcons team, had been 7-7 and looked like a team that had no right to be in the playoff discussion. This Jets victory, combined with a week 17 victory over a Bengals team that had nothing to play for (and it showed, because the team rested a fair amount of its starters as well), has given the 9-7 Jets a playoff berth while holding superior Pittsburgh Steelers and Houstan Texans teams out of the playoffs. With the current rules in place, no one can blame a team like the Colts for resting its players because it earned the right to finish the season the way it wanted to. It is not the teams that are at fault for resting their players, but rather the way the system is set up. When teams decide to rest their players and essentially ‘throw’ the game, it ruins the competitive nature and integrity of the games. Every year, a team’s schedule is set based on the division in which it plays and its record from the previous year. A team that draws the Colts, for example, has a tough game for a reason. However, a team like the Jets can receive a ‘bye’ if it draws the Colts towards the end of the season, giving it an unfair advantage over a team that had to play the Colts in week 4, for example, when it mattered. For example, the Houston Texans play in the Colts division, and so play them twice a year. The Texans had to play the Colts twice when the games mattered, and then were beaten out by the Jets for the final playoff spot. We have the problem identified, but what is the solution? In order to fix this problem, and to ensure that every game of every week of the NFL season matters for all the teams, incentives for teams who have clinched to play their starters must be added. The best way to add incentives while still maintaining a sense of fairness would be to offer an additional draft pick as a reward for a team playing its starters and winning a game it did not need to win. In this situation, the potential ‘reward’ would be offered to any team that could not advance its position by winning the game, therefore leaving it with no regular motivation to try to win. Let’s use this season’s Colts as an example. Going into the game, the Colts were 14-0, had clinched the number 1 seed in the AFC and homefield advantage throughout the playoffs. Therefore, they had no motivation to win whatsoever, as they could not improve their playoff positioning. In this hypothetical situation, an additional 4th of 5th round draft pick, lets say, could be offered to the Colts as a reward for winning a game that did not matter to them. This would ensure that every team has something to play for, and would maintain the competitive balance that is so important week after week in the NFL. 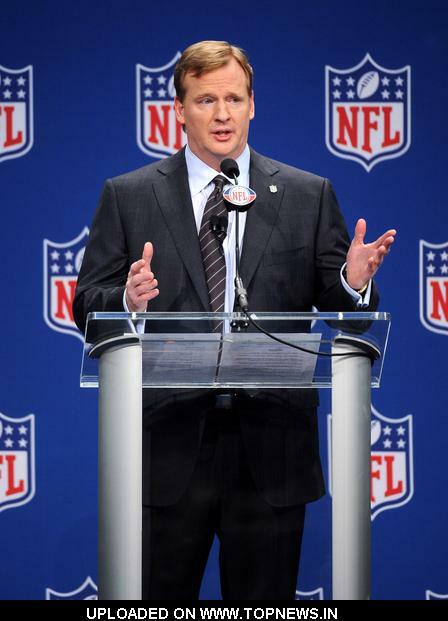 Unless the NFL and commissioner Roger Goodell institute some kind of rule change making it enticing for teams to play their starters late in the season, even after clinching playoff positioning, the competitive balance that makes the NFL season so riveting week after week will be lost. Teams that should still have a fighting chance at making the playoffs towards the end of the season will not be afforded these opportunities, and will instead make playoff berths come down to the luck of the draw. This entry was posted on Thursday, January 7th, 2010 at 5:28 am and is filed under NFL. You can follow any responses to this entry through the RSS 2.0 feed. You can leave a response, or trackback from your own site. 4 Responses to Should NFL teams be forced to play starters after clinching playoff positioning? Good Post. Can you email me back, please. Thanks so much.